Breakfast is a staple in many of our lives. We Texans can’t live without it, that is a sure thing! Breakfast tacos, pancakes, chicken & waffles—we do it all. So if you find yourself in the Lone Star State, be sure to check out any of these 10 excellent breakfast places! This place has been an Austin favorite for decades! Their hot breakfast menu is served all day long, and always comes with a starter of chips and salsa. Talk about putting some spice in your life! Their breakfast burritos and tacos are always piping hot, fresh and known for their simplicity of delicious ingredients. Oh man, sunny side up eggs, flapjacks and your pick of your favorite protein—What could be more awesome to start your mornings? 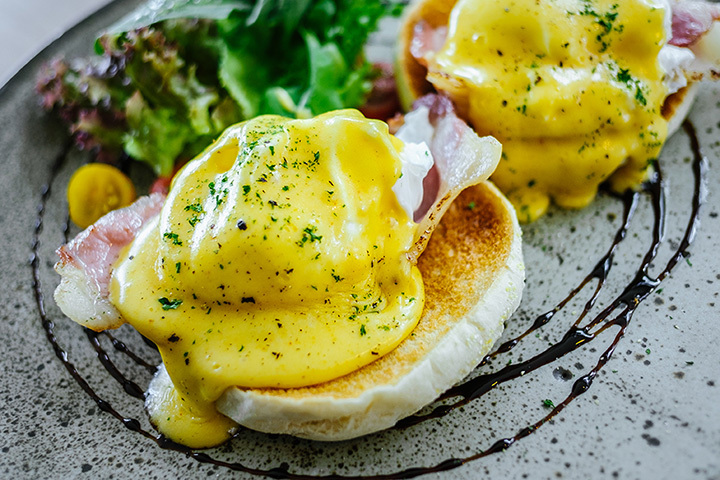 Yolk offers a contemporary atmosphere to enjoy your hearty breakfast. Didn’t we tell you that we do a great justice to the famous dish, chicken & waffles? Well, the Breakfast Klub is THE place to be for this signature dish along with other soul filled dishes for breakfast and lunch. Don’t worry, they’ve got healthy options as well! This adorable little eatery serves up traditional hot breakfasts and primarily famous for their buttermilk pancakes and let us tell you, they are to die for! Seriously, it’s like you’ve gone to heaven after you take a bite of their fluffy and buttery pancakes. Yum. Nothing is better than hot, made-from-scratch baked goods and breakfast. You can enjoy their traditional German plates such as potato pancakes, German pancakes and some of their freshly made bread too! An 80-year tradition, also known as dining a Blue Bonnet Cafe! You must stop by here and see what all of the fuss is about! Fresh, made to order eggs, pancakes, biscuits and more! Don’t forget to have a slice of their famous pies before you leave! If you’re a fan of mimosas for breakfast, then Lola’s is where you need to be! People love it here for the beautiful setting and tasty bites to munch on all day long. Delicious, wholesome and all from your local hometown eatery. Eggs? Hash browns? Texan, cheesy breakfast food? It’s all here, ya’ll! People love Nancy’s for their straight forward delicious and simple breakfast dishes. Eggs your way, big ol’ Texas toast in a truly rustic setting. Oh man! Hot breakfast just the way you order it! We’re talking BIG Texas sized breakfast plates that we’re almost sure that you won’t be able to finish in one sitting—which is why it’s so great to take home for leftovers when you’re craving a midnight breakfast! We are so ready to get up bright and early in the morning for a yummy breakfast from one of our favorites! What about you? Where do you kick off your mornings for breakfast in our great state of Texas?